We provide all service for MLM Software, binary software, matrix software, board plan software, growth plan MLM software, multi-level marketing software, and network marketing software. It's a total web-based real-time application with all the essential features to handle all the operations of an MLM Company to handle the managerial, commissions, E-wallet, E-pin, MIS Reporting etc. It can be modified according to customers need. Backed by a team of experienced professionals, we are rendering optimum quality Matrix MLM Software. By using the latest software tools and techniques, our expert's design and develop multi-level marketing software for companies to manage their MLM business. Our qualified professionals always incorporate new features in the software by using their in-depth knowledge of programming skills. Apart from this, we develop software after understanding the specified requirements by performing deep analysis to attain maximum client's satisfaction. Cyrus Technoedge offers best Repurchase MLM Software that incorporated all the features and functionalities along with authorization, branch management system. We provide custom-made web base Repurchase MLM Software through which direct selling businesses can manage accounts of their area office or franchises centrally. The direct selling company can analysis and control all the branch account transactions and stock of their services and products, MLM customer transactions and structures through several analyses and economic reports. The specialized team at Cyrus Technoedge has decades of Repurchase MLM Software development experience and forever efforts for new upgraded technology to provide best featured Repurchase MLM Software. Send us your demand for free Repurchase MLM Software demo to check all the features integrated into the MLM business. Cyrus Technoedge offers the best Generation MLM Software that incorporated all the features and functionalities along with authorization, branch management system.We provide custom-made web base Generation MLM Software through which direct selling businesses can manage accounts of their area office or franchises centrally. The direct selling company can analysis and control all the branch account transactions and stock of their services and products, MLM customer transactions and structures through several analyses and economic reports. The specialized team at Cyrus Technoedge has decades of Generation MLM Software development experience and forever efforts for new upgraded technology to provide best-featured Generation MLM Software. Send us your demand for free Generation MLM Software demo to check all the features integrated into the MLM business. Cyrus Technoedge provides best featured online web application Australian Binary or Tri-Binary MLM Software solution to effectively control and manage all the activities and functionalities of Australian Binary MLM business. Our Australian Binary or Tri-Binary MLM mange system shows the genealogical structure of all the MLM customers in the tri-format through which MLM customers, multi level marketing company management can view and handle their business successfully. 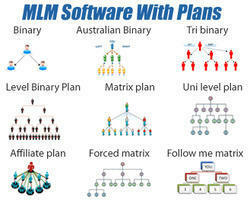 As we all knows in the Australian Binary Plan all MLM customers has least three down lines or legs and when grows this single leg, the leaders or customers get benefited.Australian Binary or Tri-Binary MLM Software developed by Cyrus has all the features, functionalities and controlling system to control all types of activities, transactions performed by the MLM customers or leaders. Send us your demand for free Australian Binary MLM Software demo to check all the features integrated into the MLM business. Cyrus Technoedge provide web based Uni-Level MLM Software for efficiently run and attain the maximum benefit through Uni-level MLM Software plan. Our Uni-Level MLM Software Plan has all the features essential to handle, manage and analyze your MLM business. Cyrus Technoedge develops customized web based online Uni-Level MLM Software as per client’s requirements, required, concept and provides the best web based MLM solutions with 100% accurateness in all respects along with excellent after sales support services. Hence, just visit Cyrus Technoedge’s contact page and get in touch with us to get best Uni-Level MLM Software. To start an MLM Growth Plan business you require a fully automated, featured and precise MLM Growth Plan Software. Cyrus Technoedge provides online web based MLM Growth Plan Software to control, distribute development commission accurate among MLM Customers, fully featured MLM Growth Plan Software and larger level MLM Company to control all the business transactions. 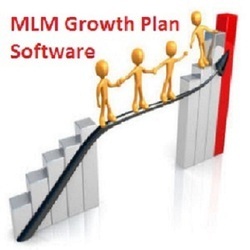 Our MLM Growth Plan Software is one of the biggest and an accurate tool developed by Cyrus Technoedge is most popular MLM web based software Company.To check and confirm all the functions and features of the MLM Growth Plan Software, you can send us an inquiry for free MLM Growth Plan Software demo. We have integrated all the features, diagrammatic representation of MLM status and other customized reports to manage and control all the financial transactions and structure of MLM customers and users. MLM Binary Software is a Top Notch Demanding MLM software product that completely designed and developed for MLM companies. It's a total web-based real-time application with all the essential features to handle all the operations of an MLM Company to handle the managerial, commissions, E-wallet, E-pin, MIS Reporting etc. 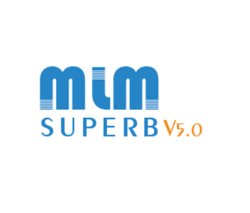 It can be modified according to customers need.MLM Superb is a software product exclusively designed and developed for all type of plants fully Real Time Web-based application it can be customized according to client's Compensation plan requirement.